I went live on Facebook (original post) after receiving numerous requests for prayer. The volume of requests weren’t the issue. I love it, but the topic seemed to show that the guys who were reaching out had possibly missed the mark on the purpose of prayer, and it’s power to change. 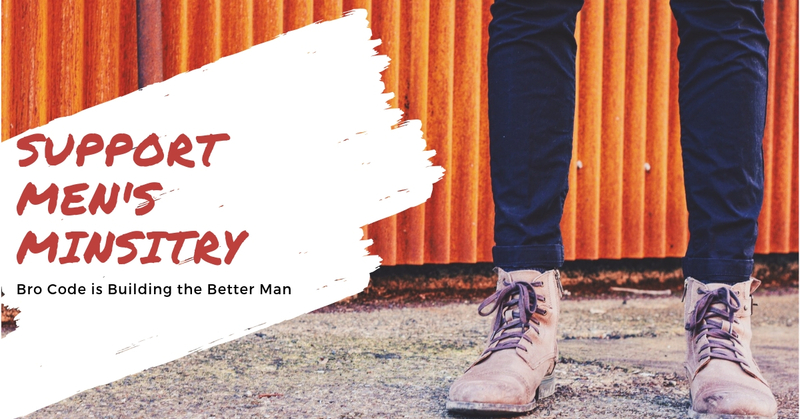 When I started Brick Breakers a few months ago, I fully expected that a site dedicated to supporting men in their walk with Christ was going to be like sitting in our backyard at night – dark and full of crickets. I knew God had moved me to start the outreach, but I know guys, and we don’t express our feelings or show vulnerability – EVER. So, I expected to generate content, and prayed that men would read it and benefit from knowing they were being prayed for. God really does have it together so much more than I do! The page continues to grow each week, and although this wasn’t created to count hands, the outpouring of honesty has become a blessing and a lesson learned. There is such a great desire among men to know more about walking with Christ. They share their struggles, prayers and blessings. I’ve loved watching them reach out and promise to pray for each other. It’s gelling as a very cool community. But back to the video call-out. I get many messages from guys who want their wife to return. They say they cherish marriage and want to save it. They also assure that they’ve changed and that their wife either doesn’t believe them or doesn’t want to return. And while I understand the intentions of their requests, it became important that I try to sharpen their focus on the spiritual realities of praying for someone else be changed by God to suit their personal preferences. I posted this below in the content of the Facebook post, but wanted to share the short video that goes into detail about praying for change. Please, if you find yourself doing or praying for the same things, give this a view and allow it to help set your prayer life on a direct track with God’s desire. 1-Your prayers are Spirit centered, not self centered. 2-You’re spiritually ready to accept the blessing of an answered prayer. Amen – great add ons. The forgiving part was so true for me a few years back. I wanted change in those offenders, but was not willing to release myself from them to allow them to change or me to experience it and honestly pray for it.